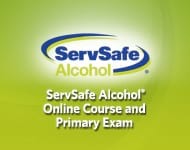 The New Mexico Alcohol Server Training Online Course and Exam helps prepare participants for the State of New Mexico Alcohol Server Training Exam. Learners will receive critical knowledge on New Mexico alcohol law and responsibilities, recognizing and preventing intoxication, checking identification and dealing with difficult situations. The course is self-paced and the navigation is intuitive, and allows the easy review of key concepts. After passing the Exam, participants will receive a temporary certificate that is valid for 120 days, and the New Mexico certificate will come from the state within 120 days. Upon purchase, participants will receive access to the course and an Exam Access Code for each course purchased. After completing the course, the participant may begin the exam by entering his/her Exam Access Code. All purchases of online products are final. Before purchasing, review technical requirements and please read all information below. Once the course is started, the participant will have 90 days to complete it, at which time the course will be deactivated.